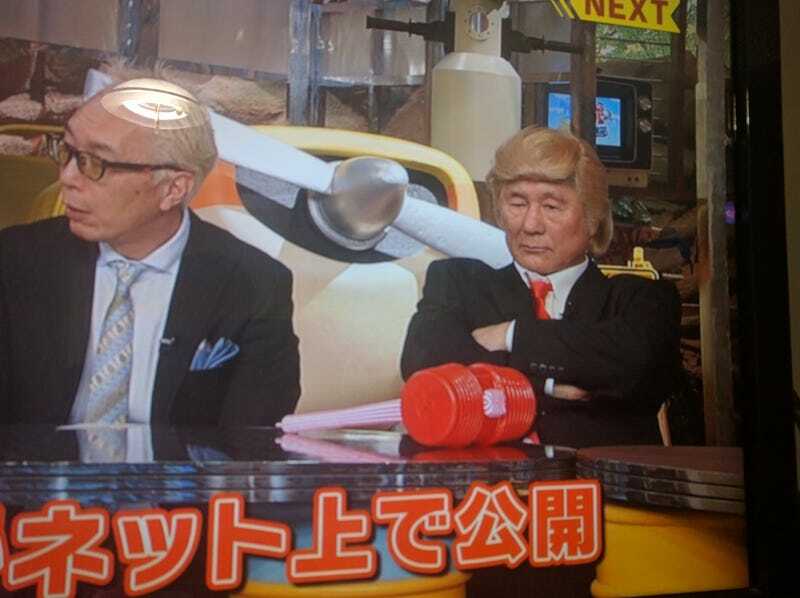 Ever wondered what Takeshi Kitano looks like as Trump? Some might know him as the film making or actor genius that he is... But he also LOVES brain-dead TV shows! The stupider, the better! So he comes to this one dressed weirdly every time. Today, he plays Trump... He arrived on stage with 2 pinups around his arms mimicking Trump. This guy being a freaking genius, while at the same time being at the origins of Takeshi’s castle is just amazing. I love Kitano soooo much. With Keiichi Tsuchiya, he is the only Japanese celebrity I’d love to have a beer with some day.